When I read the girls books at night, we flip-flop from Pazely's room to Zoey's room & cuddle on their beds. 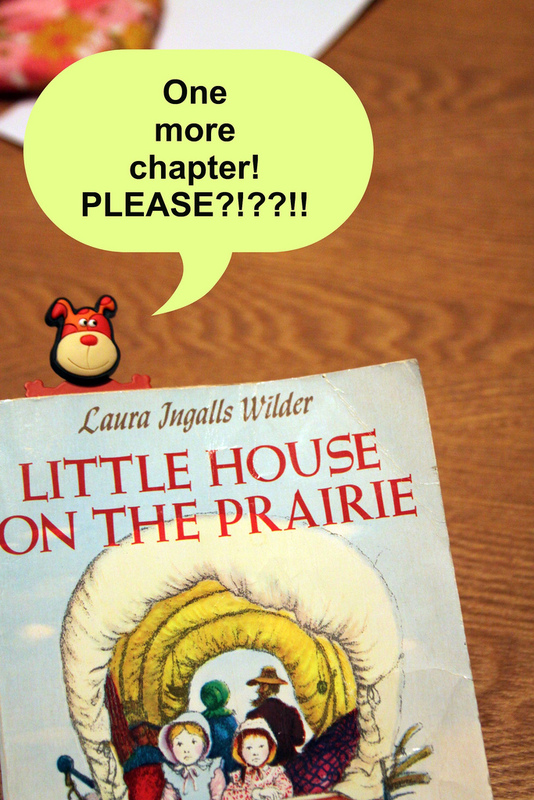 When I'm done reading a chapter for that particular night, they always say the same thing: "One more chapter! PLEASE?!?!?!"